These cubs, which are born in December or January have been kept in the den until late February or March. 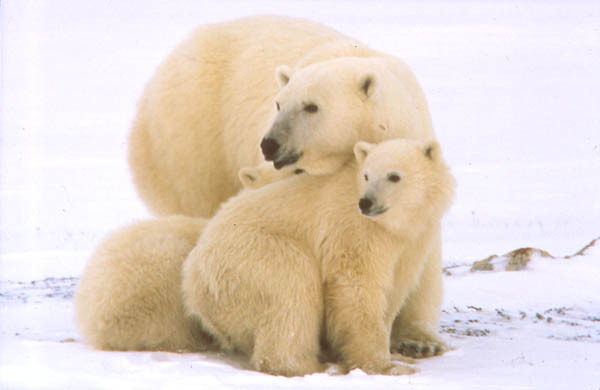 Newly born polar bears weigh less than 1 kg. Twins are most common and account for about two-thirds of all litters.